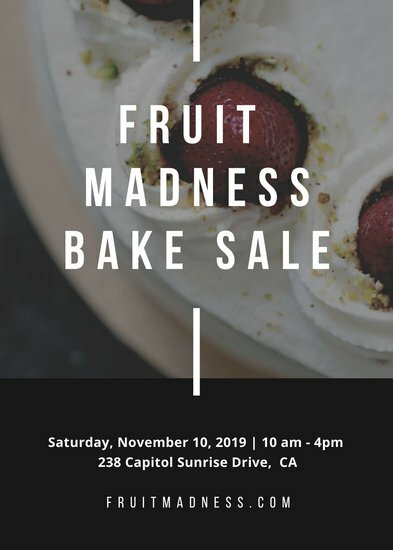 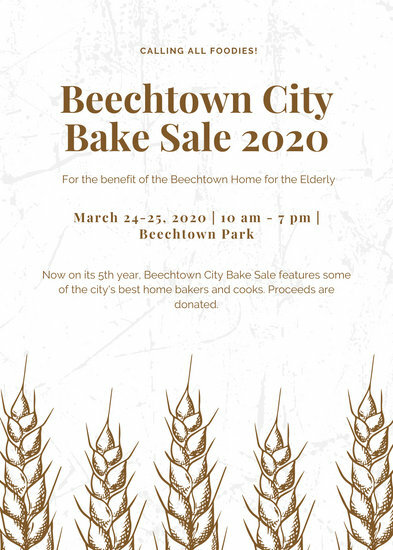 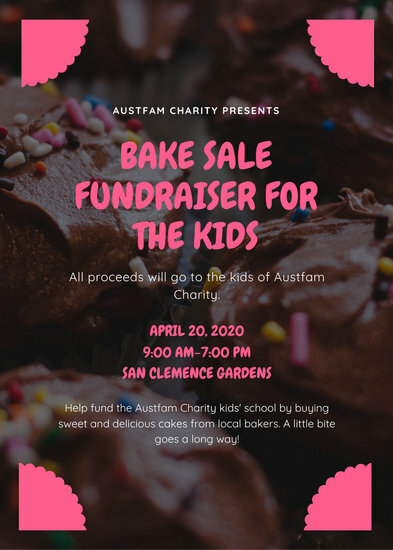 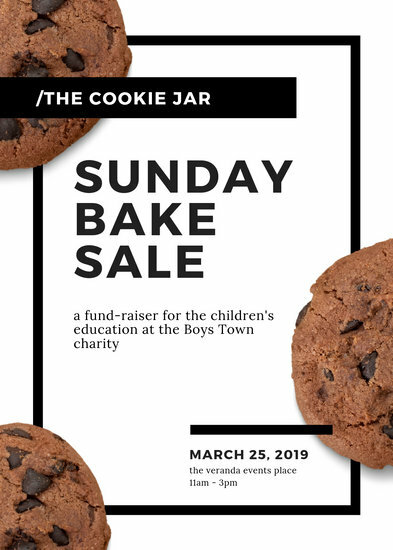 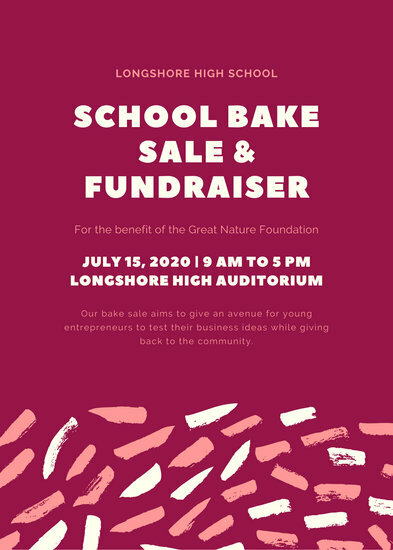 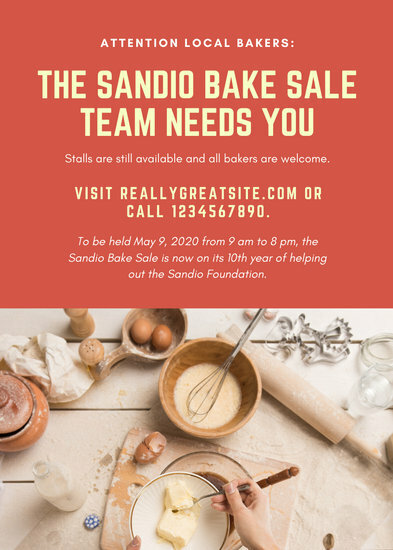 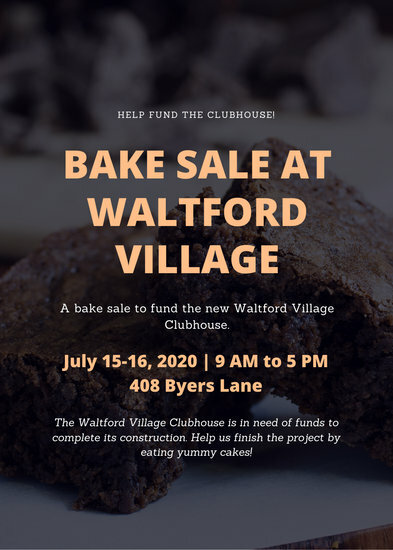 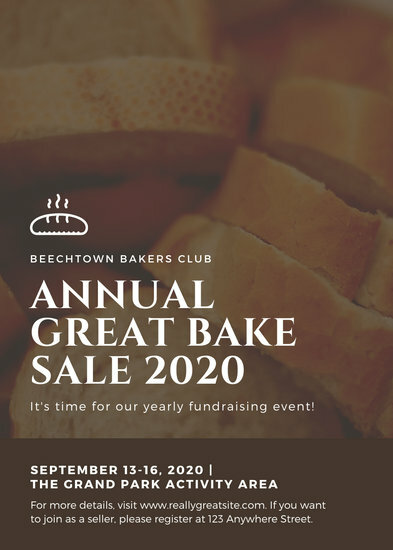 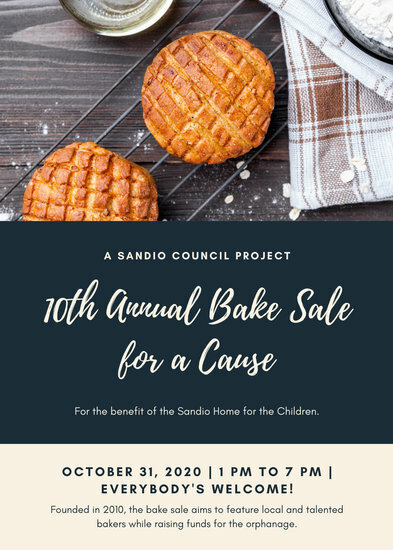 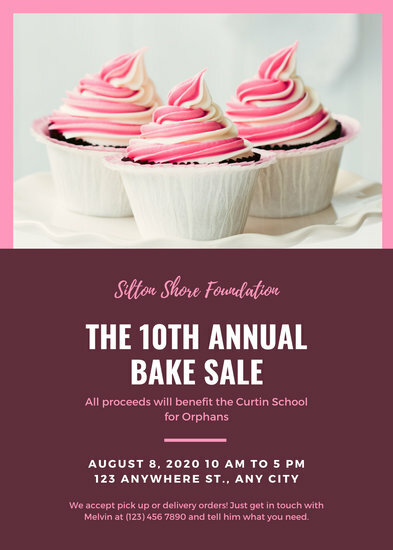 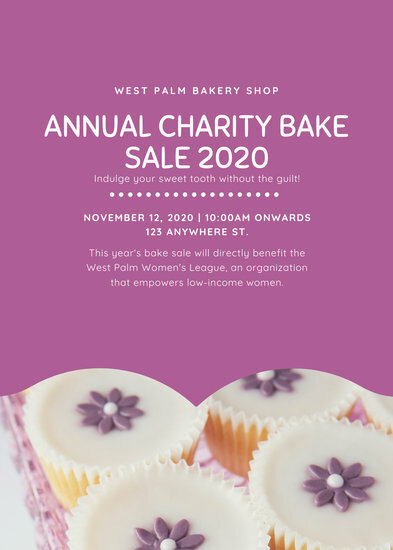 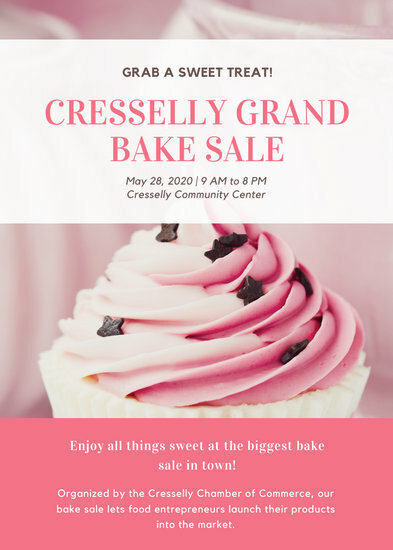 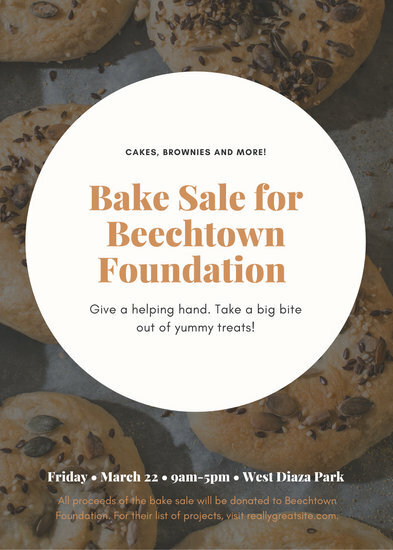 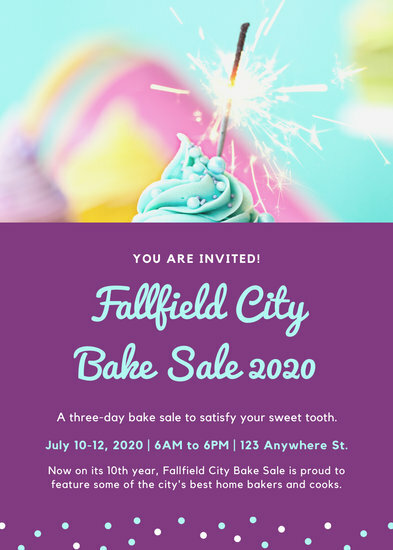 Get the word out about your bake sale with personalized flyers you can customize with the sweetest photos and icons from our library. 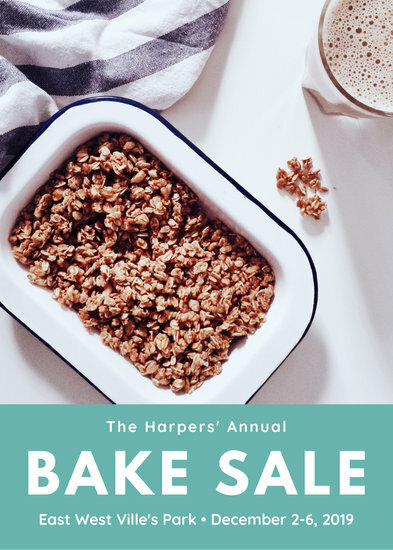 When it comes to fundraising, nothing beats a bake sale. 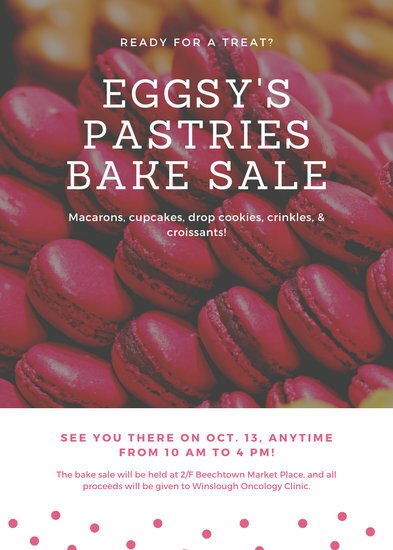 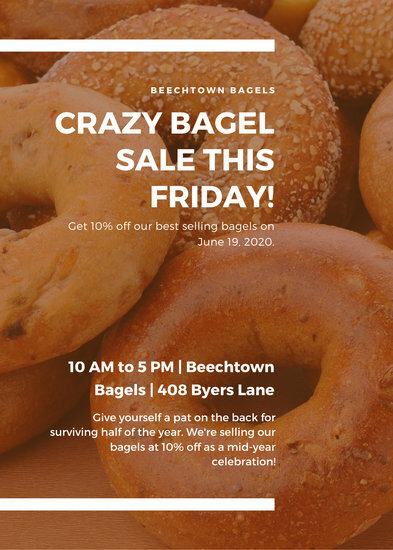 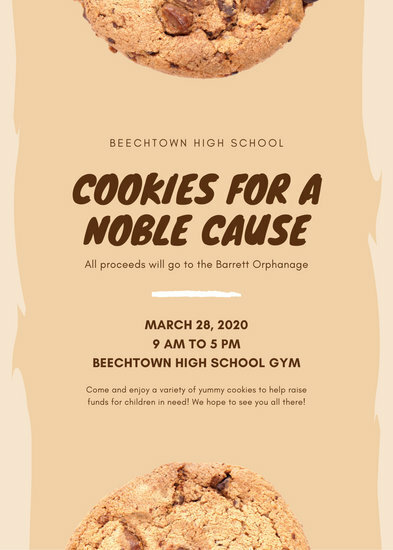 Not only does it help you raise money for a goal, but you also get a chance to share tasty treats with friends and members of the community! 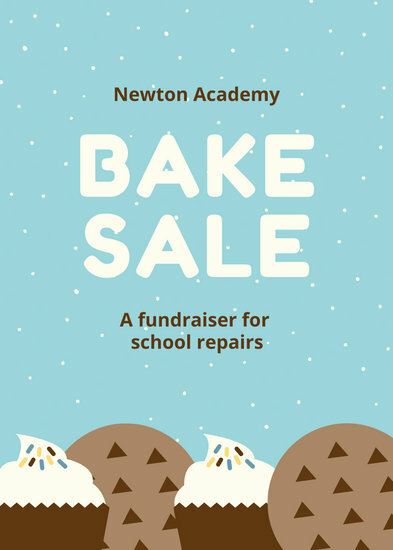 As with any event, a good way to get the word out about your bake sale is through flyers. 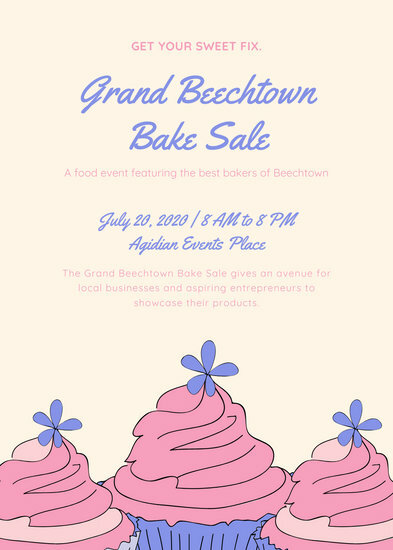 You can hand them out on the street or put them up around areas with a lot of foot traffic. 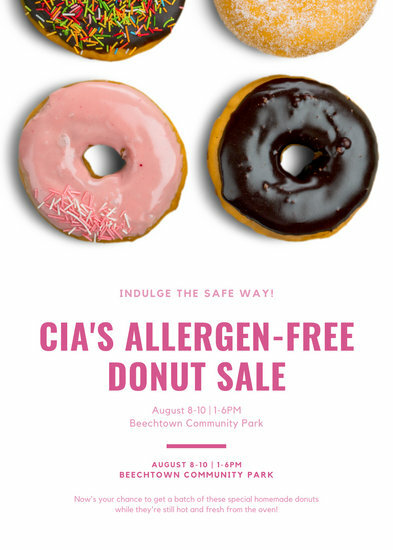 But be sure to have all the important information on your flyer. 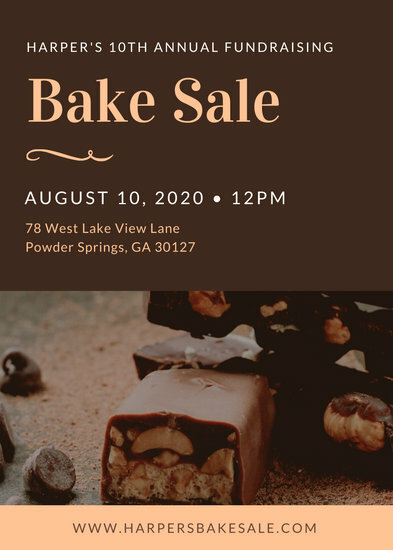 Include your organization's name, your big announcement, the reason you're holding one, and details about when and where it will be. 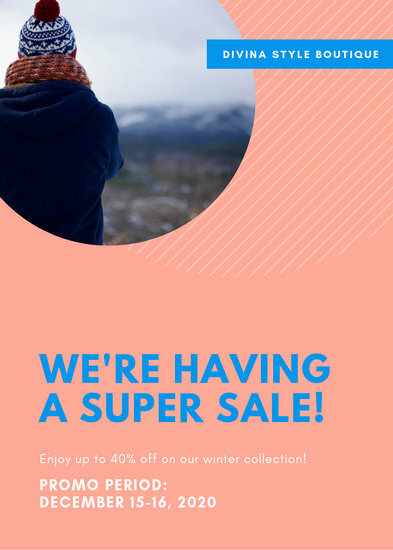 Canva saves all your designs to the cloud too, which means you can come back to edit your design anytime you want. 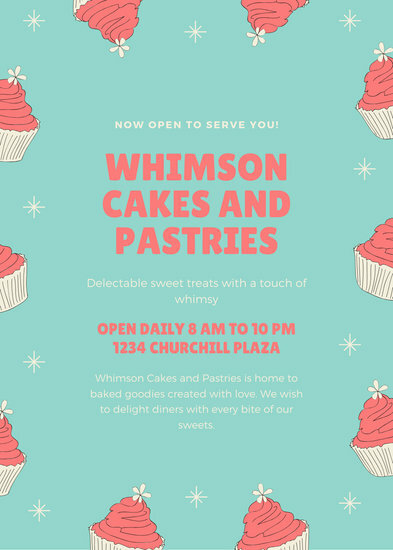 Just load up your workspace, then change up the text and use the same elements for your next event. 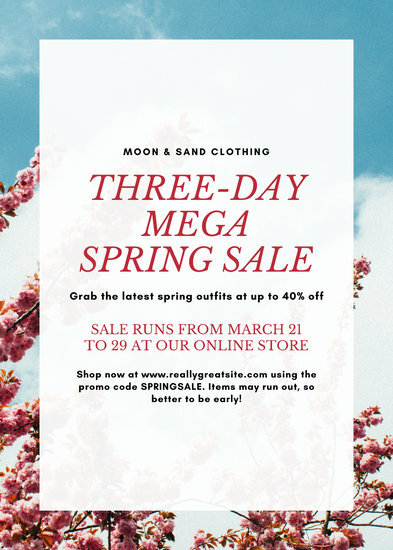 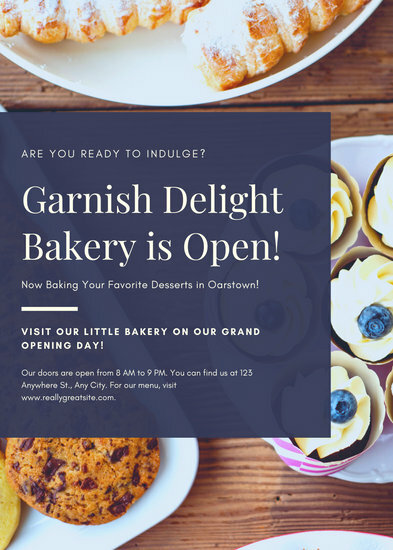 So even if you're a total design newbie, our drag-and-drop tools will make flyer-creation easy as pie. 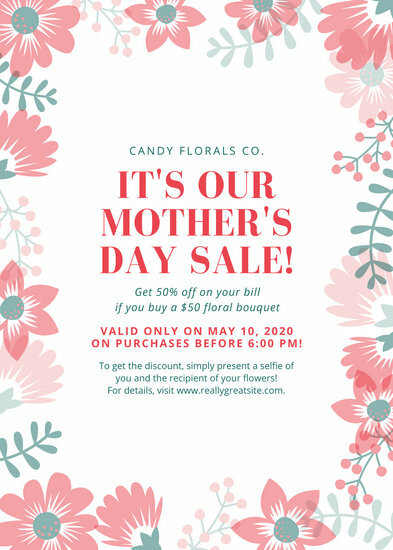 Once you're ready to put all of that together, you can load up a template from Canva to help you get started and save time. 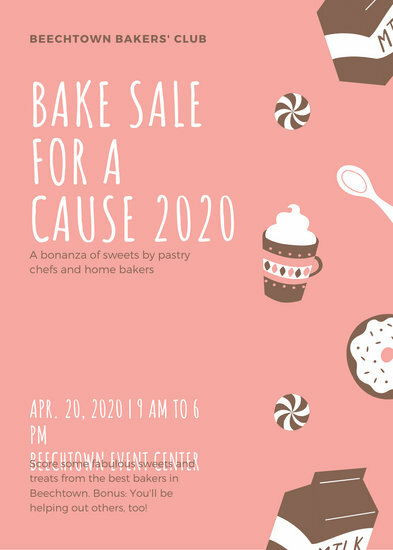 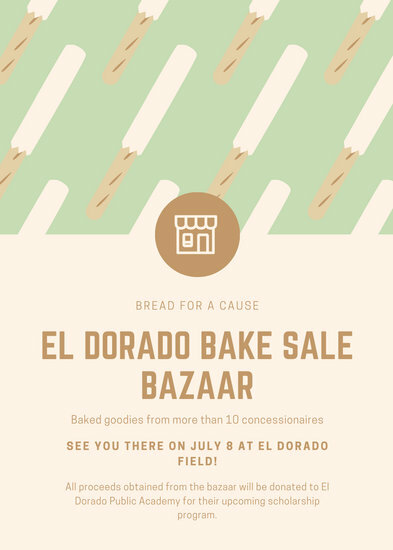 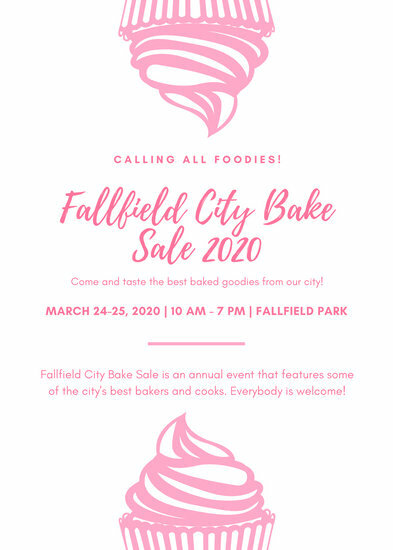 Depending on the baked goods you have for sale, you can use a cute illustration to be your flyer's main visual attraction. 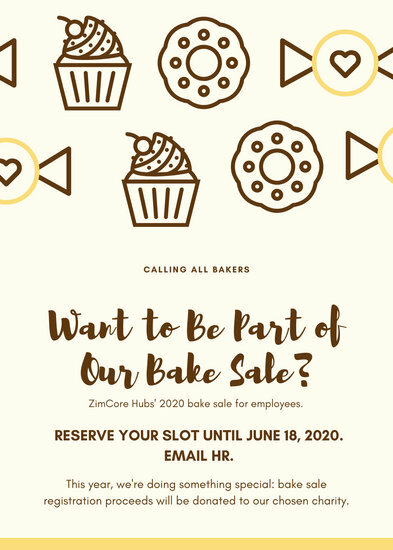 Try a cupcake or cookie to give people an immediate connection to food. 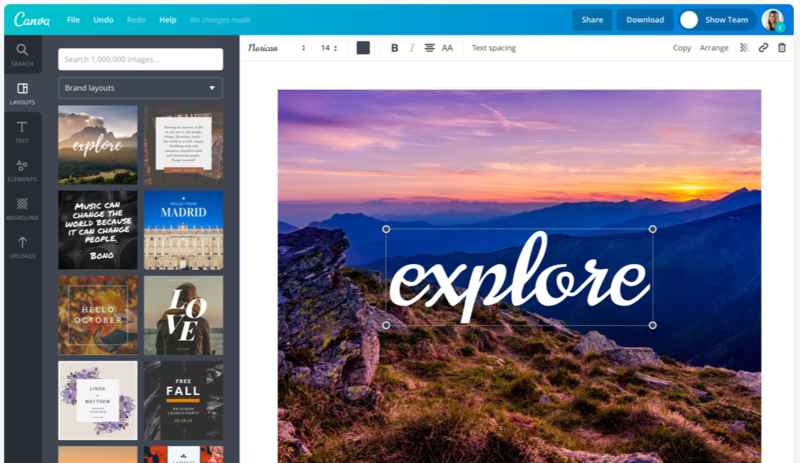 You'll find millions of options in Canva's massive media library, easily searchable on your workspace. 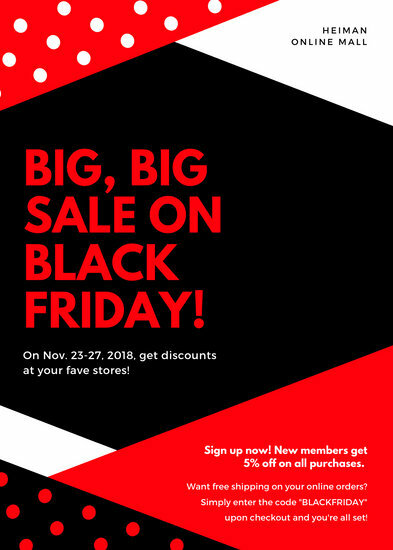 Add other elements like borders and backgrounds. 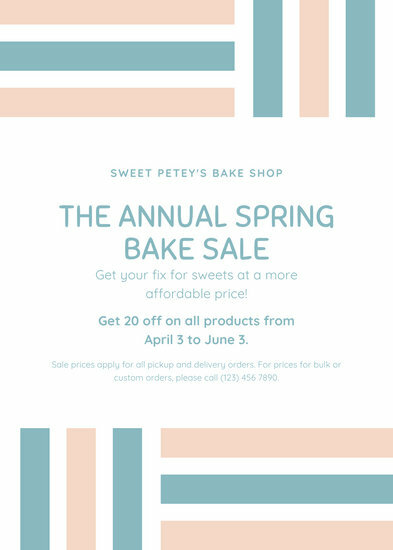 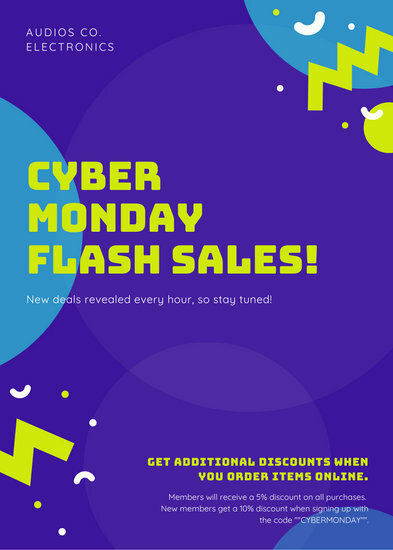 Use bright colors to make your flyer more attractive, or work with contrast to make it really stand out.